In 2016, the Stanford Latino Entrepreneurship Initiative (SLEI) released their research from a survey of 4,900 American Latino Business Owner. SLEI is housed within the Stanford Business School and led collaboratively with the Latino Business Action Network (LBAN). 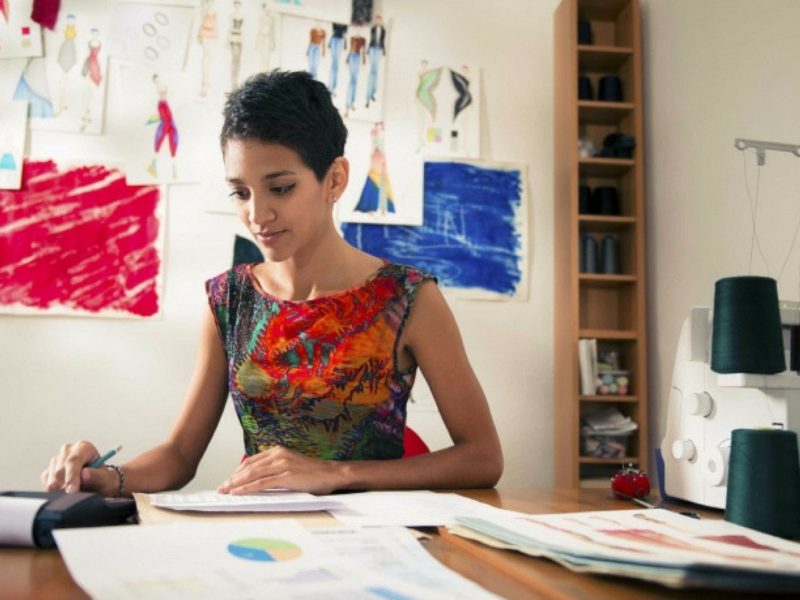 Meant to supplement data provided by the U.S. Census Bureau and Kauffman Foundation, The State of Latino Entrepreneurship details insights of U.S. Latino-owned businesses and the barriers faced to economic success. 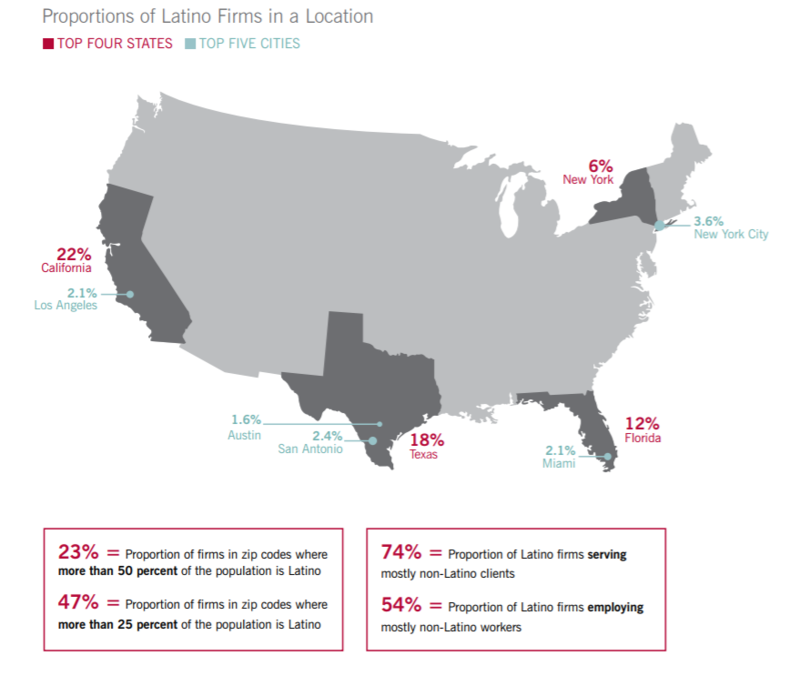 70 percent of Latino firms are owned by people born in the United States. Half of these business owners are millennials (aged 18-35) and almost half hold a Bachelor’s Degree—twice than the national average. This survey data also details business operations and strategies related to firm growth as well as a profile on firms versus scaled firms–with scaled being indicated by revenue level, employee count and fluctuations within employee count level. 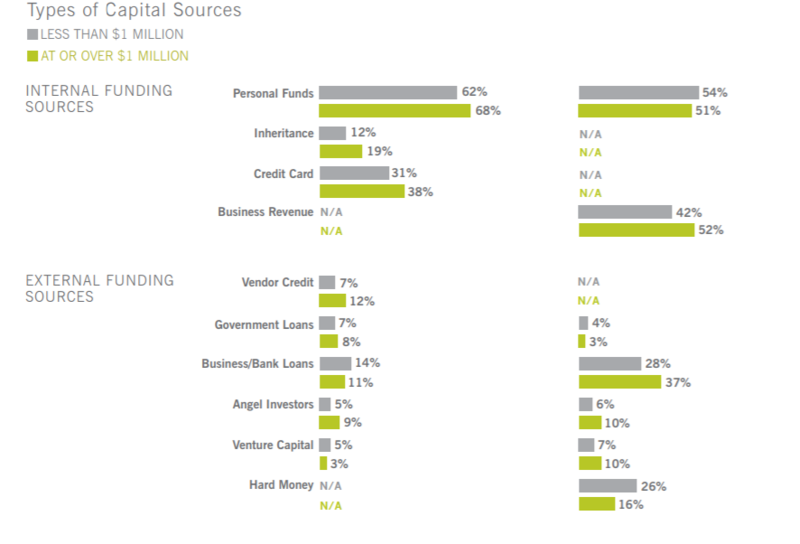 Key insights include: “scaled firms are more integrated into the ecosystem of U.S. businesses; 50 percent of Latinos (at both the startup and growth-stage) solely utilize internal funding sources regardless of their size; of the firms that received external funding, one-third use bank and business loans at the early stage while, in contrast, two-thirds use bank and business loans at the growth-stage.” Additionally, Latino firms are also geographically dispersed across diverse communities. Although concentrated mainly in states with high Latino populations: California, Florida, New York and Texas, these businesses reach a wide consumer array. Latino firms are distributed across a variety of industries; however, only 3% of firms earn $1 million or more in revenue with most earning less than $100,000 annually and lack employees. Regarding funding, the most common source for unscaled firms is personal funds–whether from personal saving or loved ones. Almost half of the surveyed business owners utilize solely internal funding sources, regardless if they were at the early or startup stage. However, scaled firms report utilizing external sources of capital to grow–specifically government and/or bank loans–at the growth-stage. Overall, a lack of external funding can create stagnation and become detrimental to the success of Latino firms. Ultimately, The State of Latino Entrepreneurship “tell us Latino firms serve a broader constituency than just Latinos, and that an increase in their wealth would impact more than just the Latino community.” Diverse, vibrant and well-educated, Latino entrepreneurs are only just beginning.